My first thought was to take a ride to the Santa Monica Pier and take some pictures at the beach today, but I remembered I would have to drive pass the Staple Center where their holding the Grammys today so I change my plans and went the opposite direction and headed to Riverside and spent some time around the Mission Inn, which turned out to be the right choice. In the next few days I will share with you some of my favorite shots that I will now refer to as my Downtown Riverside Day trip. 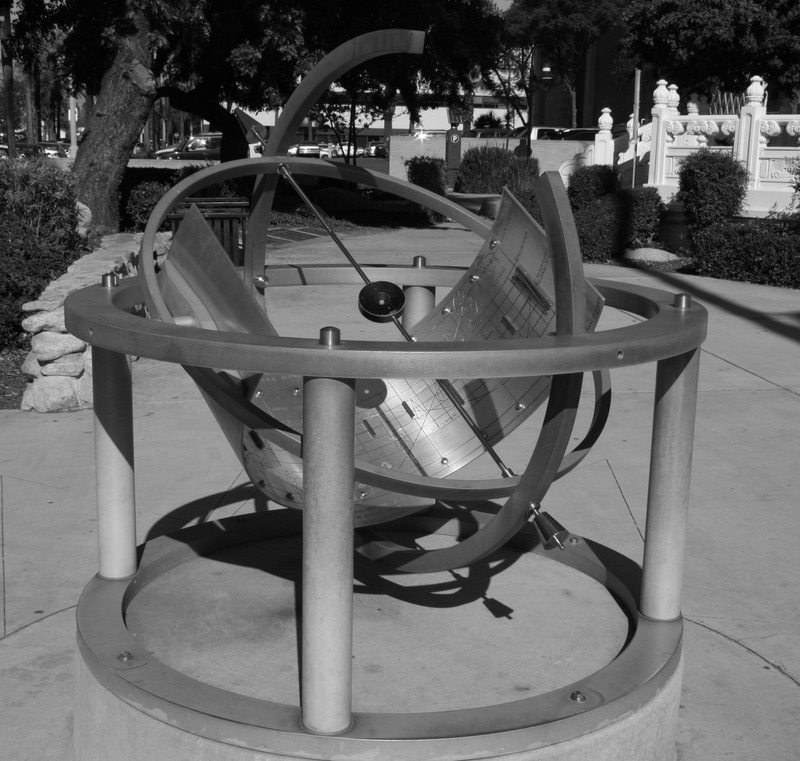 The Sun Dial is near the downtown library. This photo seemed more dramatic in black and white than in color to me. This entry was posted in Photography and tagged CA. Day trip, Mission Inn, Photography, Riverside. Bookmark the permalink.